Introduced in 2015, and now in it's third year, the SPARK Advisor Award recognizes the top retirement plan advisors across the country. Winners are announced and recognized at our signature event, the SPARK Forum, each November in Palm Beach, Florida. Learn more about the event and register for the SPARK Forum here. Centurion helps clients design and maintain plans helping participants successfully save for retirement, while reducing fiduciary exposure and administrative burdens. Jim has worked in the defined contribution retirement plan business since 1993 and has developed lasting relationships with corporate clientele, actuaries, and attorneys. In addition to his work with 401(k), 403(b) and non-qualified deferred compensation plans, Jim is respected among his colleagues for his expertise in cutting edge plan design and investment analytics. Jim has also been named Top 100 Plan Advisor of the Year in 2013 and made Forbes Magazine's Top 50 Wealth Managers, Emerging RIAs in 2013. Jim and several of his Centurion Group colleagues are consistently listed as 401kwire's top 300 most influential plan advisors. Global Retirement Partners is a leading retirement plan consulting firm offering a complete suite of services to both plan sponsors and investors. As head of Global Retirement Partners, Bill has proven to be an innovative thinker in the retirement planning industry. Bill is probably best known for founding National Retirement Partners in 2006 and later selling it to LPL in 2010. 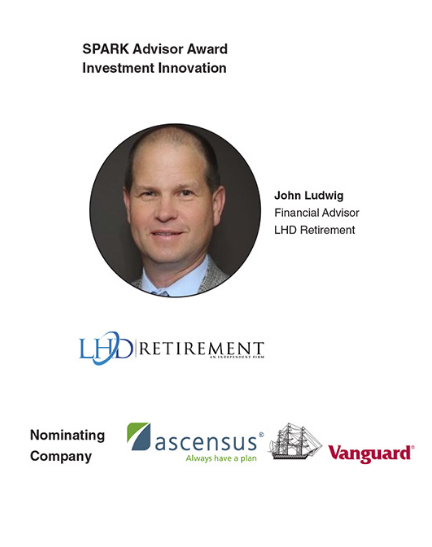 In 2014, Bill founded Global Retirement Partners with nearly 400 advisors and joined LPL's hybrid RIA platform. Bill understands the power of open-architecture and the value of a retirement planning advisor. He is dedicated and passionate about positioning Global Retirement Partners as an innovator in participant advice. 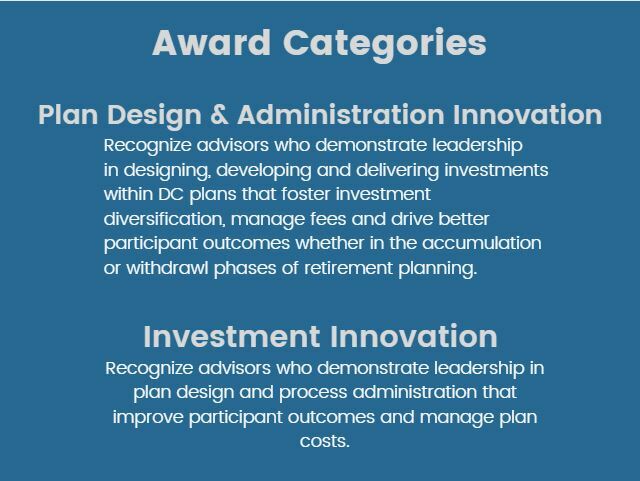 When asked why he nominated Jim for the Innovation Award, David Musto of Empower Retirement replied, �Jim and Centurion developed a new proprietary software tool to better educate plan sponsors about Fee Levelization. This led many plans to transition away from investment menus with disproportionate revenue sharing to a lower cost institutional share class model.� When asked what separates Bill from others in the market, Bob Gain of BlackRock said, "Bill brings to his clients an institutional-quality investment review, with unbiased advice, along with a deep partnership with recordkeeper and DCIO providers." Bob went on to add, "No one has done more than Bill to make the advisor the critical part of the value chain for plans sponsors."